iFive star deluxeproperty located in Sabana Grande, riht in the herat of Caracas busiest district for financial, commercial and tourist activities. The Plaza Venezuela Squareis very close, allowing quick access to the main Caracas highway system and to the International Airport of Maiquetía (30 to 40 minutes). 4432 roms, Including I Presidential Suite, 10 Jr. Suites and 5 Royal Service floors. All suites and 75 standard rooms are located in the Royal Service floors. Additionally, we offer 236 one and two bedroom apartment suites.  Check-in time: 3:00 p.m.
Av. Casanova , Esq. Calle El Recreo, Sabana Grande. 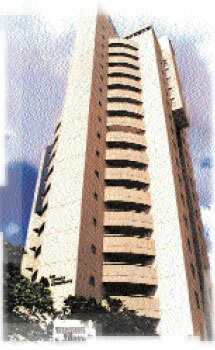 Caracas is still a landmark in the city. The hotel´s exclusive and strategic location offers immediate access to the main highways wich goes directly to the city´s commercial, financial, tourist, recreational and residential points of interests and it´s only a 35 minute drive from Simón Bolívar International Airport. Surrounded by tropical gardens, the Tamanaco Inter-Continental Caracas offers luxurious accommodations for bussiness and pleasure travellers. telephone lines and data port. Our Club Inter-Continental Floor guests can also enjoy a private lounge with a meeting room, complimentary breakfast service and coffee during the day, complimentary evening drinks and canapés and butler service. As an exclusive Club Inter-Continetal benefit, our guest will enjoy free early check in and free late check out until 4:00 pm. To offer more comfort to business travellers, the Executtive Meeting Center located at the lobby level, has 8 business rooms, audiovisual equipment available for rent, secretarial services and private offices with internet access. Each room is equipped with: 24 hour ergonomic chairs, workstatios with CD-ROM and fax modem computers, diachronic lighting, soundproff windows and walls, and an unique design to serve coffee breaks without interruption.. The Hotels four restaurants and three bars, offer a wide variety of atmospheres and dishes starting from La Cabañas informal outdoor environment with fresh wood-oven baked pizzas, to our exclusive French cuisine at Le Gourmet.  539 air-conditioned rooms, including Suites, Junior Suites, Cabañas, two Executive Suites and one Presidential Suite. 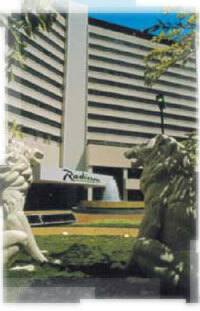  24 hour room service, voice mail, satellite TV, Pay-per-view movies laundry and valet.  Swimming pool, tennis courts, health club, massage, sauna, beauty parlor and barber shop.  ATM, money exchange, travel agencies and airlines offices. Jewelerry, boutique and pharmacy. 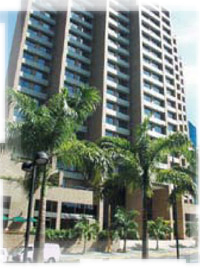 In the eastern side of this vibrant metropolis, in the heart of the most important financial and business district, and with a wonderful view of El Avila Mountain, the Radisson Plaza Eurobuilding Caracas is located in the most exclusive area of the city, only 15 minutes drive from the downtown area and 45 minutes from the Simón Bolívar International Airport. The Hotel is next to Las Mercedes, an upscale shopping, dinning and entertainment area.  Two Business floors including Excecutive Launge. Final Calle La Guairita Chuao. Located in the privileged area of El Rosal, is just minutes away from new and exclusive business district and shopping centers. At only 10 minutes from the hotel you may find the famous Las Mercedes, an exclusive neighborhood featuring fine dining, upscale shopping, nightlife and extensive banking zone. Only 45 minutes from Simón Bolívar international Airport. View to the spectacular Avila Mountain, known as the lungs of the valley of Caracas with a height of 2.650 meters above sea level. 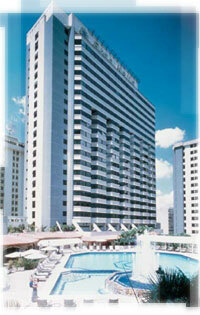 The JW Marriott Caracas Hotel has 269 guest rooms including 134 suites. 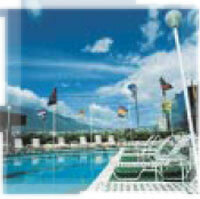 All the guest room and suites have a view of the Avila Mountain and the beautiful city of Caracas. All guest room are equipped to provide the most comfort to guests featuring Color TV with remote control, in-room movie rental, individual climate control, mini bar, laptop-size in-room safe, two speaker telephones and two high speed internet connection lines with international direct dialing, AM/FM alarm clock radio with CD player, hair dryer, iron and ironing board, non smoking rooms, rooms for people with disabilities. Sur New World Fusion: a casual and elegant restaurant featuring south American cuisine. Lobby Bar: for cocktails and piano music. Casa del Café: gourmet coffee, pastries and salad bar set on a outdoor seating.  Executive Tower with Executive Lounge and Concierge service. Altamira Suites, the most exclusive and prestigious residence in Caracas for the distinguished international executives, offers accomodations to fill every need. Location: Residential area of Los Palos Grandes close to Altamira Square and Subway Station. Suites have been individually decorated and furnished with fine luxury including central air conditioning, satellite television, equipped kitchenette, direct-dial telephone, room service and laundry service. Junior Suite: 538 sq.ft, Executive Suite: 710 sq.ft, Presidential Suite: 807 sq.ft, and Royal Suite: 1.615 sq.ft..
All guests can enjoy, the comfortable bar and restaurant with a large entertainment area suitable for receptions, an informal Roof Top Deli&Pool, with a solarium lookout, a temperature controlled swimming pool, an illuminated tennis court, gymnasium with work-out machines, sauna, jacuzzi and massage facilities, hairdresser, laundromat, mini-shop, travel agency and a private taxi line. The business facilities include a conference room for 25 people with all equipment required for presentations and meetings. The safety of the guests is looked after by our security staff, who monitor all areas with a closed circuit television and all seven parking levels are protected. Best Western Puerto Viejo Inn offers 107 suites ideal for business men or visitors, strategicaly situated only 2,5 km or 1,5 miles from Simon Bolívar International Airport..
Bar and Restaurants overlooking the caribbean. Excelent service. 5 Conventions rooms. Hilton Caracas is located in the financial and cultural center of the city, 5 minutes away from the main banking buildings and 35 minutes from the Simon Bolivar International Airport. 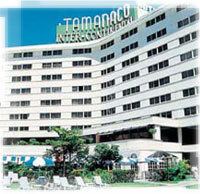 Its prominent structure is a symbol of the five star hospitality which characterizes us. It has a panoramic view over Los Caobos Park, the majestic Teresa Carreño Theater and the magnificent Avila National Park. 738 refurbished and spacious rooms and suites with panoramic view. Each room is equipped with individual air conditioning system, direct dial line, hair dryer, safety deposit, box, minibar, color TV with remote control, alarm clock and satellite. Non-smoking rooms, as well as facilities for the handicapped, are also available. LIncontro: Buffet and a la carte menu exclusively prepared by Italian Chef. La Terraza: Restaurant and bar located in the pool area where you can choose between an international buffet or a delicious barbecue. Tower Lounge: The meeting place in Caracas to enjoy a delicious continental breakfast, appetizers or a well deserved cocktail after a long working day. The hotel offers tennis courts, pool, gym and fitness center, sauna and massages. Wa No Kutsurogi, designed to satisfy the highest expectations of our Japanese guests: japanese personnel, rooms with special amenities and typical gastronomy. The Hotel is located in the most exclusive shopping center in Caracas and it is surrounded by the most important financial and entertainment district of the city. Easy access and a wide variety of entertainment options, Mall, Restaurants, Cinemas, 500 boutiques, Nightclubs, Beatty salon and barbershop. 165 suites. Business Center. Two (2) Restaurants. Lobby Bar. Heated pool. Gym. Tennis courts. Six (6) Conference rooms. Benefits for frequent guest. 24 hour Private security. Laundry services. 24 hour room service. Six (6) meeting and conventions rooms with different capacities and the highest technological capabilities for any type of meeting. Business center with secre-tarial services. Photocopier. Fax. Translations. Internet access. Reservations and flight confirmations. Mailing services. Cellular phone rental service. Centro Ciudad Comercial Tamanaco, Av. La Estancia, Chuao. Since founded by Nelson Rockefeller in 1942, the Hotel Avila was conceived keeping in mind the serenity and peace you can enjoy in this magnificent setting of tropical landscapes and fresh mountain air. We are located just minutes from downtown. All this makes Hotel Avila a true oasis in the heart of Caracas. 113 rooms provide you with comfort and peaceful atmosphere away from home. All room offer private bath, direct dial phone service, color TV, satellite antenna and of course an imposing panoramic view of the majestic Avila mountain. Colonial Terrace: In a true colonial setting, you can enjoy an informal buffet including typical Venezuelan food and a great variety of dishes prepared by our International Chef. 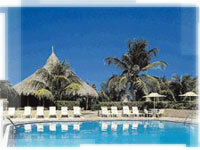 Visit or Tropical Bar and order your favorite drink while enjoying a pleasant and relaxing atmosphere by the pool side. Our facilities offer everything you need for meetings, seminars, conferences and social gatherings of any kind. Furthermore, we provide all the necessary equipment and our specialized staff will assist you in making your meeting, conference or social gathering a great success. Swimming Pools, Gardens and Tennis Courts Our large state features tropical gardens, swimming pool and athletic facilities including: Avila Tennis Club, Gym and Jogging Path. Use any of these facilities at your leisure to relax and enjoy a true oasis atmosphere. 2 Av. de las Delicias de Sabana Grande, entre Av Solano y Libertador. Plaza Palace Hotel is located in downtoun Caracas where all the important Commercial, Artistic and Tourist activies take place.  You will feel at home in our Bar, Coffe Shop and  La Posada Real Restaurant.  Excellent airconditioned rooms, Direct Telephone line, T.V. Colors, Satellite T.V. Systems and All time Music.  A warm atmosphere during your stay. Tourist Plans. Las Delicias de Sabana Grande, Av. Los Mangos, Caracas. Venezuela.  Room service and laundry.  Close to subway station. Avenida Francisco de Miranda, Edificio Roraima, piso 3, oficina 3C. Campo Alegre - Caracas - Venezuela. P.O.Box / Apartado de Correos Nº 61142 Chacao 1060 Caracas.